Collaborative divorces still take into account all the necessary facets of marital breakup, including child support, alimony, custody, visitation and property division. The difference from that of a traditional divorce is that both parties’ attorneys, who are trained in the collaborative divorce process, meet together with the spouses to discuss each area with an eye toward problem-solving. 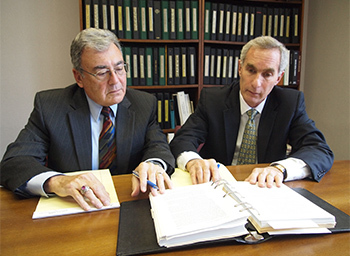 In collaborative divorces, an agreement is made beforehand that if the parties are unable to arrive at an agreement and require the use of the adversarial court system, each must find replacement counsel. Lawyers may also withdraw if either party is found to be concealing assets, lying about material information or otherwise engaging in bad faith. There are a number of benefits that a collaborative divorce provides. This approach can help preserve family unity and maintain harmony between all family members, which is especially important if children are involved. If you wish to remain friends with your ex-spouse, collaborative divorce helps to do away with the contentious nature of a traditional divorce, thereby allowing both of you to proceed with dignity and respect. Lastly, this approach avoids unnecessary time spent in court hearings and trials.